Not long after surfacing on Amazon, this 12.2-inch convertible tablet with Android onboard is finally official. 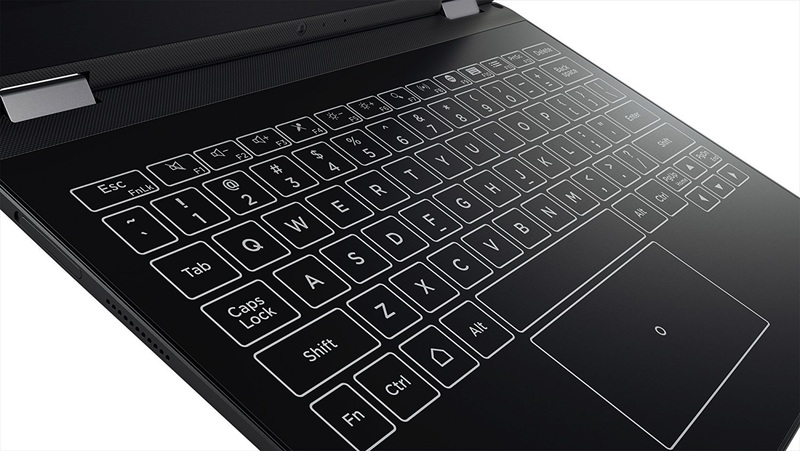 Its highlights include the Intel Atom x5 processor, two Dolby Atmos speakers, and a Halo touchscreen keyboard. 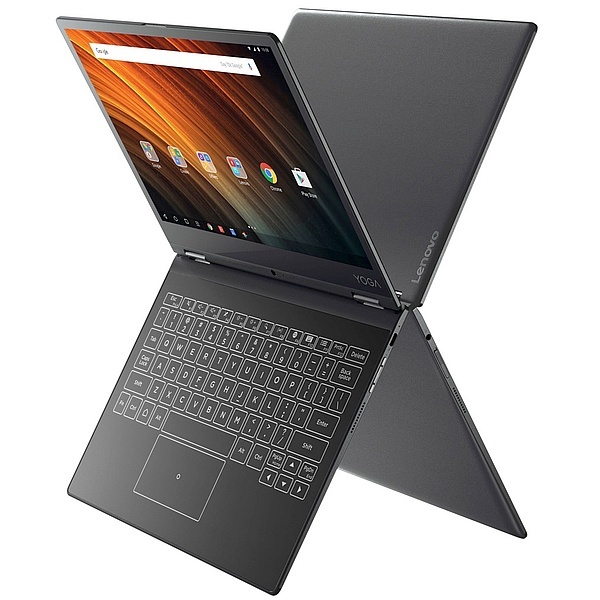 The new Lenovo Yoga A12 is larger than its predecessors, but also more affordable. However, this new convertible is not a budget device, offering a few premium features, especially the touchscreen keyboard known as Halo. In addition to the above, the Lenovo Yoga A12 also features Dolby Atmos stereo speakers and is splash-proof. It weighs less than 2.2 pounds and features a built-in AI software that can predict words and gets "smarter" in time. Those interested to acquire the new Lenovo Yoga A12 will be able to do so via www.Lenovo.com starting February 8. The cheapest models carry a price tag of only $299 USD. Today, we’re announcing the Yoga A12, an affordable Android tablet made for all-day productivity, priced at $299. The Yoga A12 fits into a new category of personal computer—one especially for Android lovers. In our constant search to create different and better products, we listened to hundreds of users from New York to Delhi tell us about their computing needs and operating systems of choice. We found a segment of users who grew up with Android as their first-ever computing experience—either on their family tablet or a personal smartphone. This held especially true in emerging markets. For these users, Android and productivity weren’t mutually exclusive—the smartphone or tablet experience can be seamlessly extended to the personal computer. That’s why we created the Yoga A12. 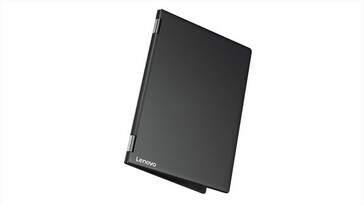 It pairs the mobility of tablets and smartphones with productivity features to enable a versatile experience. Opening to just 5.4mm at its slimmest edge and weighing less than one kilogram, the Yoga A12 is thin and light enough to take nearly anywhere and use on a busy subway train, a crowded cafe or in a classroom. Do work or decompress with a round of Clash of Clans or an episode of Netflix thanks to the Yoga A12’s 12.2-inch HD screen and two speakers, booming out the immersive cinema-like sound of Dolby Atmos®. Powered by the Intel® Atom™ x5 processor with 2GB of RAM and 32GB of storage, the Yoga A12 is your digital companion for work and play thanks to a two-million-plus app ecosystem that comes with Android. 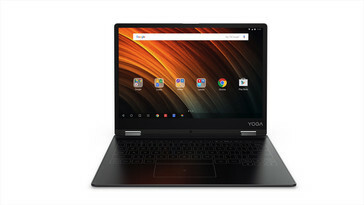 The Android device is also easy to work on given the Yoga A12’s multi-tasking hybrid UI, the Google Productivity Suite and the revolutionary Halo keyboard to type out that report or presentation. Weaving software and hardware into one fluid interface, the Halo keyboard is a fully flat, touch-screen keyboard that’s smart—it learns and adapts to your typing habits so the more you type on it, the faster and more accurate it becomes. The keyboard vibrates on touch with haptic feedback and learns from you as you type, with built-in prediction and artificial learning software. 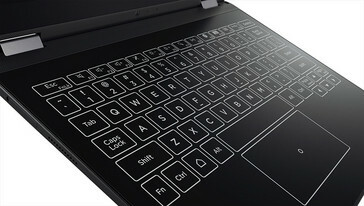 Lenovo first introduced the Halo keyboard feature to the premium Yoga Book series, a separate family of tablets that incorporates the paper digitization functions of the Create Pad and Real Pen for sketching and note-taking. In a nod to the Yoga Book’s design, the Yoga A12’s Halo keyboard helps it achieve its thin profile. We completely re-envisioned the layout of the chassis, fusing parts in several component layers into one unified whole. Finally, we added a layer of carefully chosen glass for the touch-screen, varnished with anti-glare coating for the right matte finish. This incredible thinness means you can use the Yoga A12 to work or study almost anywhere. Its four modes via the 360-degree Yoga hinge adapts to the tempo of your day, while you create, browse or watch on a number of different surfaces, work environments and settings. The Yoga A12 keeps you up and running with 13 hours of battery life on one charge. 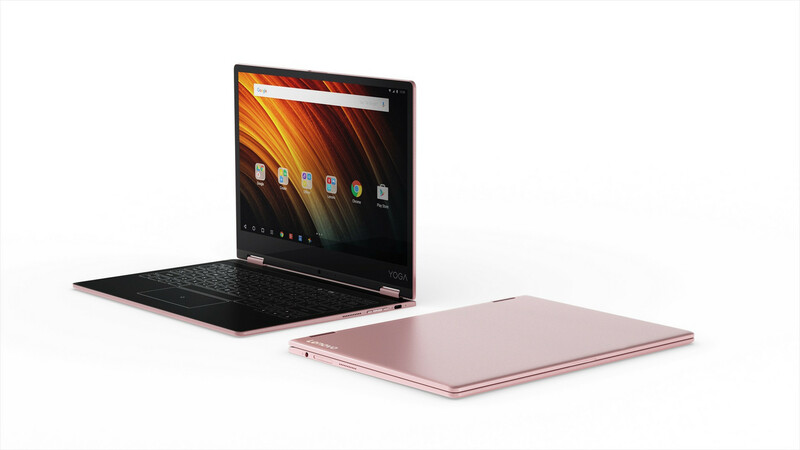 Constructed of premium magnesium and aluminum, the Yoga A12 comes in either Gunmetal Grey or Rose Gold. The Yoga A12 will be available starting Feb. 8, 2017 on www.lenovo.com. Pricing for models starts at $299 (USD). In US dollars, pricing may vary from country to country. Based on a mixed use profile that includes online browsing, playing music and video, reading and typing. Actual results will vary, and depend on numerous factors including product configuration and usage, software, operating conditions, wireless functionality, power management settings, screen brightness and other factors. The maximum capacity of the battery will naturally decrease with time and usage.